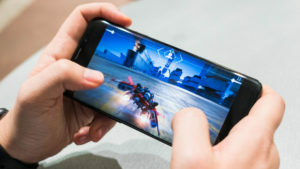 Three-quarters of Brits have admitted to playing a mobile game, with smartphone users playing mobile games on average three times a week, according to mobile game developer platform, AppLovin. Despite the popularity of mobile games amongst Brits, 64 per cent wouldn’t call themselves a ‘gamer’. The study, conducted by Censuswide, surveyed over 2,000 UK General respondents (aged 16 and older) to help gauge the current state of mobile gaming usage in the UK. It was found that the top four most important qualities for an appealing mobile game are: free games (54 per cent), easy to play and understand (42 per cent), challenge the brain (39 per cent) and have short sessions (25 per cent). However, AppLovin revealed that on average, Brits still look for a new game four times a month. The survey discovered that only 26 per cent of British women would label themselves a ‘gamer’, even though 80 per cent of women have played a mobile game. Of this statistic, half of women have played the addictive hit Candy Crush, and 35 per cent have played Angry Birds. AppLovin also found that 26 per cent of women chose casual games, like puzzles, as their favorite type of mobile game genre. AppLovin, along with Sensor Tower, had previously revealed that on average, eight out of the top 10 most downloaded games on the App Store each week in 2018 were in the casual genre. This statistic increased from the six out of top 10 downloaded games in 2017. AppLovin concluded that the influx in casual game popularity is being powered by a new type of ‘gamer’, who is reluctant to actually identify as such. Additonally, AppLovin found that 31 per cent of participants have played a mobile game to relieve stress, with 39 per cent saying that mobile games can even make them feel relaxed. For Brits, playing mobile games was ranked the fourth most popular way to relax (40 per cent), coming after watching TV (63 per cent), reading a book (43 per cent), and going for a walk (41 per cent). 75 per cent of the respondents admitted to spending up to 30 minutes on gameplay, leading AppLovin to conclude that mobile games are a great source of quick and easy stress relief.